I click my fingers and everybody dies. Sam wakes from his nightmare to discover the terrifying reality. It will come true. Kidnapped from school and finding out his parents aren&apos;t who he thinks they are, Sam is suddenly running from danger at every turn. Nothing will ever be the same again. With his life and identity shattered, Sam&apos;s salvation is tied to an ancient prophecy. He is in the final battle to save the world, up against an enemy plotting to destroy us all. 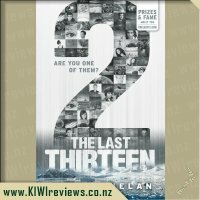 • He alone can find the last 13. • 13 books. 13 nightmares. 1 destiny. • Are you one of them? My son reads, he reads a lot. As such he us reading/ comprehending at a level much higher than expected for his age group. When he said he did not really like the book, I wondered if it was because he was at a rwading level a few years ahead of himself. But then I remembered that he liked the Artemis Foul series and Spirit Animals too. So I decided to read thd book myself. It is great! A really well-written best of writing. Full of excitement and suspence. I liked the book, so I checked out the website. It is a fantastic interactive website that makes the book that bit more interesting. I showed my son. He spent ages going through the website. Next thing I know, he is back reading the book. Finished it in one day :) And admitted he expected to much initially and was not in the mood but is now glad he did because it is awesome. He is looking forward to reading the next book, and it wont break the bank at just $10 per book either. I received this book just before the Christmas holidays and decided to take it away with me.... we were away for a week and this was meant to be my reading for that week! 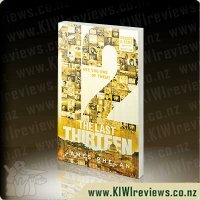 I quickly discovered the book was a very entertaining read....great story line and even better main characters. The book was read in just a couple of days instead! Getting to the last page I found myself very keen for the next book to see where the story line progressed from here.... hoping the characters were ok! The author didn&apos;t drag out any parts of the storyline....it got right into the action and guts of the story. Lots of questions were raised but that just proves how good the author does his job.... the reader really is left wanting the next book! The book has nice short chapters meaning it&apos;s easy to pick up the book and read &apos;just a chapter or two&apos; while dinner is cooking.... though I was never happy with just a chapter or two! 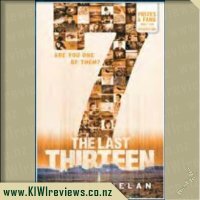 What I liked most about this book was it appeals to a wide range and age group of people.... 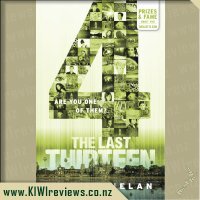 I enjoyed reading it and can easily see my 11 year old daughter enjoying it as much as I have. It&apos;s next on her list of things to read next! The first book of this series is an impressive read. 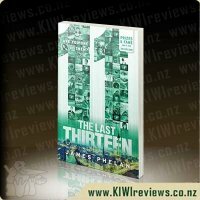 I love the way James Phelan has been able to weave so much mystery into this book. The plot twists and turns as the story progresses but is still quite simple. I haven&apos;t explored the website yet but the video was pretty cool and had lots of hints about the next books. I wonder if the website will be similar to the 39 clues website in that there will be missions and games to play on it. This book introduces so many new characters and hints at what might happen later on in the series. The first few pages of the book reveals what the book and series is about but leaves much of the plot concealed. The book progresses at a fast pace surprises at every turn. I like the way that the author has given each character different personalities, for example Alex has a sense of sharp humor, Eva is a quiet sort of person and Sam is a slightly subtler person than Alex. I also like the way that there are many questions that this book creates and I also like the way that only a few are answered directly because it creates a lot of questions that I hope are answered in the next few books of the series. I enjoyed the excitement that this book creates and I loved the ending because it was sudden and leaves me burning for the next books to come. Overall this book is a miracle of book and has all the mysteries of many other good books with a healthy dollop of fear, excitement and technology that almost no book has in common. I would recommend this book to any person older than 9. Most adults would probably have a good time reading this book. I guarantee that all readers will be clinging onto the edge of their seats waiting for the next books. There is something about end of the world, sci fi type books like this that keep me flicking page after page. I found myself getting to the end of a chapter thinking I really should put the book down but it never felt like a good place to put it down. Each chapter was short some only a few pages and each one left you wanting to read the next. The story jumped straight in so you weren&apos;t having to deal with an airy fairy boring business before the real story got started. 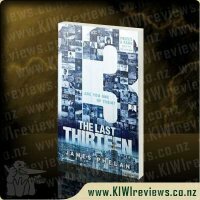 I really enjoyed the book and found the prophecy of the last thirteen really interesting. 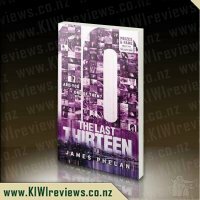 It will be interesting to see in the following books who will join Sam amongst the last thirteen, if he is indeed going to be one of them and what exactly this race will be. The first book hasn&apos;t given to much away and has left us on a bit of a cliffhanger. I feel we have only been given a very small amount of information on what the last thirteen must do and who Solaris and the Enterprise are. I am definitely going to follow this series because I can&apos;t just read this book and not find out more, I&apos;m already wondering when the next book will come out. The good thing is the book is really easy reading so if the other books follow the same then it will be a nice easy reading series. 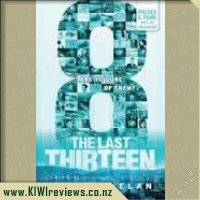 I don&apos;t know much yet about the final thirteen but I really do hope they save the world and I am really hoping that Sam, Eva, and Alex survive as I feel I have connected with their characters in this short introduction to The Last Thirteen Series. With the success of the trend-setting cross-media publishing sensation "The 39 Clues", Scholastic set a benchmark for the industry, and so far they are still the only ones to even try and reach it again... and not just once! 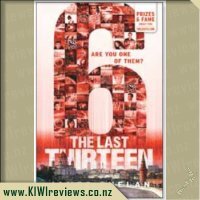 After helping to launch "The Infinity Ring" series with them, we were honored to be offered the opportunity to preview their third foray into this exciting new genre of publishing - "The Last 13". 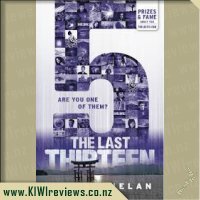 You could look at this series as a hybrid of some of the best bits of "The Hunger Games", "The Matrix", "Firestarter", "Conspiracy 365" and "Inception" all blended together and presented in a format that is at once accessible to kids aged 8-14 years, and many adults in the mood for some light reading as well. Though there are elements in this first book that are a little tension-making, there&apos;s nothing in here I would have any hesitation in allowing my eldest son to read. 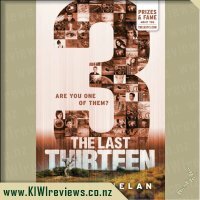 This first book sets the trend - open with a nightmare, thrills and spills, learning who to trust and who not to, and ending on a cliffhanger... just the right recipe to strongly appeal to kids in the 8-14 age bracket. 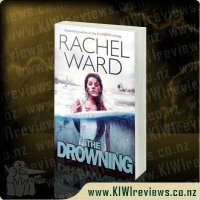 With a very strong first step, this series looks to reinvigorate the new genre and provide a wider choice to the reader base who may have lost a bit of interest in The 39 Clues - now clocking up 40 months since it first hit shelves, but still going. As with that franchise, and the Infinity Ring titles from Scholastic, this series will span media boundaries with a companion website packed with extras for the younger readers to enjoy, enabling them to interact and expand on the storyline. However this series will be doing away with the cards or maps, and focussing more on the books and digital content. Overall, this is a stunning debut for the new series, and I can&apos;t wait to see how the next book pans out. 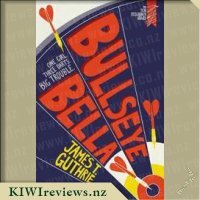 The characters were solid and very believable, creating enough trust to connect with them, but hinting at secrets, double-deals and undercover agents around every blind corner. You WANT to trust them, you need to... but something tells you that you might not be able to... not fully... not enough... or not yet. Having the entire series being written by the same author will give this franchise a solid continuity sure to keep the tension building to climactic ending, 12 more books away. I have heard that this new series is the next best thing since "the 39 clues", and let me tell you, this is at least twice as better! The book thrust me right into the action right from the start, but I found that really good since I didn&apos;t have to wait too long for the coolest parts of the storyline to kick in, as I have to do with most books I read. The book had a good read, though I did have a little bit of trouble trying to see the story play out in my mind&apos;s eye like a movie, but the story itself was quite cool and fun to read. I loved hearing about the concept of so-called "true dreaming", which is effectively getting premonitions in your dreams, and then being able to prepare for the foreseen event. I found that some of the stuff that happens in this book has a scientific explanation, the true dreaming seems to be something about some sort of enhancement in the areas of the brain that are associated with dreaming, i.e. the hippocampus. 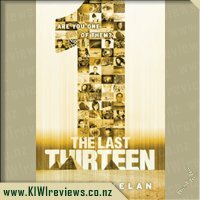 For the sake of curiosity, I checked out The Last 13&apos;s website, at www.thelast13.com , and I was impressed! The web-page was set in a sort of "coming soon" layout, as the series hasn&apos;t officially launched at the moment. The layout was nice and simple, it has an awesome background, a picture of book 1, even a small widget on there showing the countdown until the launch, counting down to the SECOND! The site also hosts an epic trailer video, and it was quite a cool one! 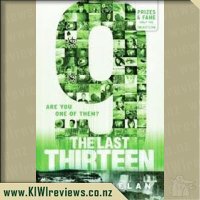 The book had very good content, there were no signs of bad language, yet it was set into a pre-teen to teenager-friendly format that keeps me enjoying the book for it&apos;s entire duration. At this time I do not know what the price of this book is, but at the moment, it doesn&apos;t matter. This is a book that I will most definitely be re-reading sometime in the near future, as it was a book that had me feverish for more at the end! I loved how the storyline was a blend of ultra-modern tech and ancient mysteries and prophecies, as well as our modern world as the place and time that this story is set in, as it made for a very interesting story, though I don&apos;t think that what happened in this book will happen in real life anytime soon. I think that the author has done a good job on this book, and I will now be keeping this book for a long, long time, as it is too cool to give away! Have fun reading, you won&apos;t regret it! 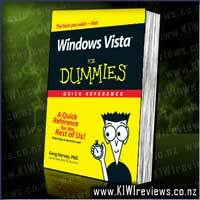 Windows Vista essentials at your fingertips! If you like your answers quick and your information up-to-date, look no further. 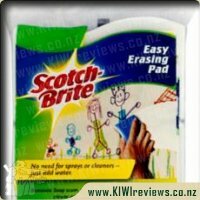 With this concise, superbly organised reference, you can easily find what you need to know about Vista's new Aero Glass interface, managing your files and folders, cool new networking capabilities, Internet Explorer 7 and Windows Mail, speech recognition, security, entertainment features, and much more.